Why is Product Lifecycle Management so important? When we talk about Product Lifecycle Management (PLM) we are not just talking about technology. Rather, this term refers to a strategic approach concerning the management of information, processes, people and technologies involved in the design, production, validation, market launch, support, maintenance and possible dissolution of a product or service. Engineering processes are really complex and the adoption of a PLM integrated software may be absolutely necessary to increase efficiency and quality, reducing costs and errors occurring. Optimization of communication and interdisciplinary collaboration processes including suppliers, customers, partners, assistance / maintenance and other interested parties. The operating logic of the PLM is based on the shared access of information, resources and processes related to a product or service throughout its life cycle. This strategic and integrated approach allows to have a single and fundamental data archive also necessary to identify those areas or phases in which it is possible to boost innovation. 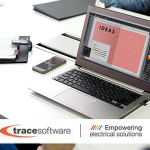 Already adopted by thousands of professionals around the world, elecworks™ is the electrical CAD software for automation projects and electrical installations. It has been designed to be an easy-to-use, intuitive and powerful tool of the latest generation, with features that offer innovative and unlimited benefits. 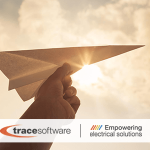 elecworks™ for PTC® Windchill® is a link that operates with PTC® and its Product Lifecycle Management tool Windchill® which will enable you to control data access, manage revision control and full documentation through new automated abilities. The automatic integration between elecworks™ 2018 and PTC® Windchill® ensures the integrity of the design of the project thanks to the centralized management of all the development stages, while encouraging greater interaction among all the participants in the engineering project. PTC® Windchill® is also a unique tool for Product Lifecycle Management ready for the IoT. https://www.trace-software.com/wp-content/uploads/2018/02/why-is-PLM-so-important-by-Trace-Software-International-blog.png 300 500 Rossana https://www.trace-software.com/wp-content/uploads/2015/04/logo-home-ts.png Rossana2018-02-21 12:58:192018-02-22 15:58:10Why is Product Lifecycle Management so important?